Welcome Meow-lo-ween On Your Door! 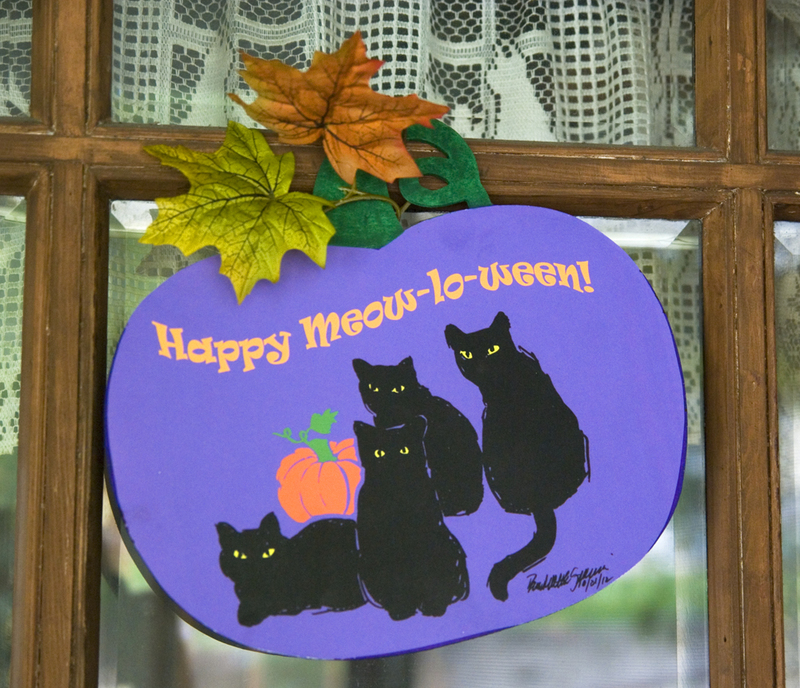 “Happy Meow-lo-ween” Pumpkin Panel Decoration is an 8.5″ x 11″ pumpkin-shaped painted and decorated wood panel made to hang on a wall or a door or stand up in a Halloween display. Price includes shipping. I also offer this design as a garden flag and a greeting card, and you can find handmade gift items by searching “Halloween“. This entry was posted in black cats, Halloween, Handmade Feline Gift Items, Holiday and tagged animal artwork, black cat, black cats, cat art, cat artwork, cat gift items, cat merchandise, cat sketches, cats, feline artwork, halloween, halloween decoration, meow-lo-ween on October 18, 2016 by Bernadette. No Comments on Welcome Meow-lo-ween On Your Door!